2019 Mid-Atlantic Newspaper Advertising Marketing Executives meeting/conference will be held Thursday April 3rd through Saturday April 6th at the Marriott in Spartanburg South Carolina. We have secured a great rate of only $135 per night (plus tax) which includes two hot breakfast buffet vouchers. 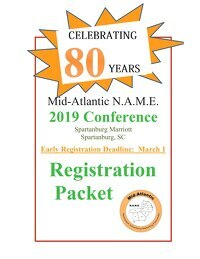 The conference will be in celebration of our 80th anniversary; N.A.E.A. of the Carolinas was founded in 1939. Please click to view the 2019 Conference Guide, which includes information on the Early Registration Contest, Idea Exchange, Hotel Reservations and more!